Our clients stay with us year after year because we have a proven track record of successful implementations. Our delivery projects cover the full spectrum of planning, implementation, configuration, integration, training, and support. We take pride in addressing our clients’ requirements on time and within budget. Our project management, business analysis, and data conversion methodologies will ensure that your implementation is successful and completed on time. We provide interface development to enable seamless integration with you legacy and third-party systems. Our custom legal sentence calculation has been proven across multiple client projects in Canada, Australia, England, and the United States. Syscon product specialists provide ongoing support and training to ensure that your team is getting the most out our solution. Annual Impact of Technology Assessment — We’ll identify new pressures on your agency and identify solutions. Above all, our approach centers on addressing these issues using software you already own. Business Process Study — We’ll analyze how you’re using your IT systems based on your policies and business processes. Following the analysis, we’ll provide recommendations on operational efficiencies. Training — We’ll identify training opportunities in your organization and produce training plans, programs, and other course materials. Configuration Services — Our experts will perform configuration changes that result from business process study. Business Process Re-engineering — We’ll provide change management support to implement efficiencies and process changes with a structured plan. Managed Services — Our experts will administer your system to protect your investment and keep your operations running efficiently. Syscon understands data and how corrections agencies can leverage it. Whatever analysis you need help with, reports you need to build, or business intelligence software tools you need to implement, Syscon is your partner to get the data out. 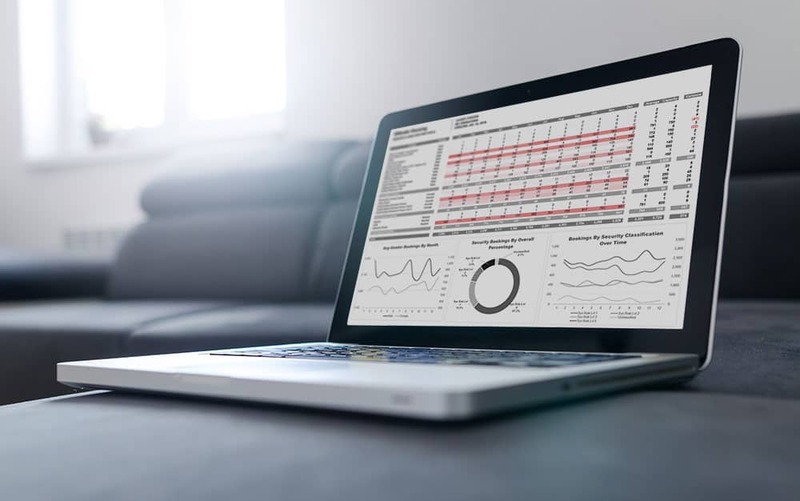 Dashboard Building – We’ll create executive dashboards so agency leadership can keep an eye on what’s happening day to day and operations dashboards to keep front-line teams on the same page. Reports Study – Taking a look at your existing reporting, we’ll help you improve efficiency and ensure you’re getting the most out of your data. Big Data – How can you use your data to run a better agency? To make a better impact on public safety? We’ll help you make sense of your data. Enable your teams and agency partners to work across IT systems. We’ll provide interfaces and advocate for DOJ, NIEM, and ACA data exchange standards. Utilize our library of interfaces to deliver seamless integration between our systems and common, third-party corrections systems. If we don’t have the interface, our experts will build a new one. From mobile phones, tablets, or kiosks to bar code scanners, RFID devices, or biometric scanners, we’ve seen it all. If you’re ready to adopt or grow the use of mobile devices within your operation, we’re here to help. Kiosks – Offenders can use kiosks or tablets as part of rehabilitation programs, with commissary and trust, to submit grievances, and to access limited information about themselves. Imaging and Biometrics – Use cameras, fingerprint scanners, and other devices in your business processes such as booking, release, housing, and gang affiliation. Tablets – Corrections officers and case workers can use tablets to access offender information while not at their desk, update facility counts, and offender records. RFID and Barcode Scanners – Barcodes and RFID swipes can automate documented cell checks, inventory counts, and commissary processes. Issues will arise. Despite our best efforts, software solutions sometimes behave in unexpected ways. If you encounter a problem with your solution, please let us know via email or telephone — whichever is more convenient. We’ll respond promptly, troubleshoot the issue, and determine if a workaround is possible. If necessary, we’ll produce a fix as quickly as possible and send it to you.